European Union law affects the law of intellectual property in two main ways. The first is under EC Treaty provisions on non-discrimination, free movement of goods (in relation to parallel imports) and principles of competition law (in relation to licensing of IPRs or refusal to grant such licenses). 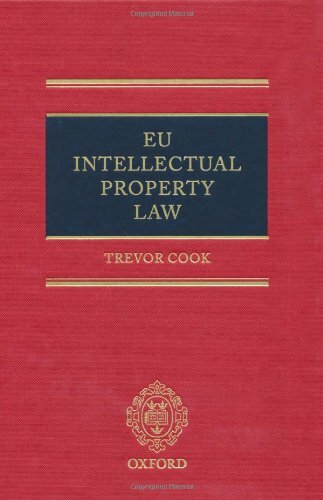 A significant part of this book deals with those aspects of Community law that are common to most intellectual property rights across the EC, including the effect of the EC treaty on national intellectual property rights, limited harmonisation of those rights in some areas, and how EU law impacts on enforcement. The second way in which EU law effects intellectual property is in those areas where the substantive national intellectual property laws of the member states have been harmonised, or supplemented, by the establishment of Community-wide unitary intellectual property protection. The rest of the book looks in detail at the effect of Community law and of harmonisation on specific intellectual property rights, including copyright and related rights, trade marks, geographical indications, designs, database rights, patents and plant variety rights .